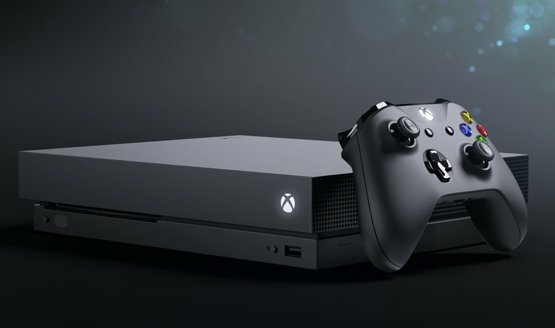 Is Console Portability the Future of Gaming? Is the Future of Video Game Consoles in Portability? When I say portability, I’m not talking about dedicated handhelds or fear-mongering that mobile gaming is going to take over the industry. Let’s get over that joke right now. Those fears will never pan out. There’s a clear and very strong place for at-home, living room gaming, but there’s also a desire to have those experiences at the tip of our fingers. When I talk about portability, I am talking about the option to take those very same at-home, living room experiences on-the-go. When I talk about portability, I am talking about the Nintendo Switch. Full disclosure: I was a Switch hater. I never thought it would succeed, particularly after the flop that was the Wii U. I saw its portability as a gimmick. No one wanted living room experiences on-the-go, and my evidence to back that up? The Vita. Sony had tried to bring console quality living room gaming to a handheld device and it had failed. I loved my Vita, but the product was simply ahead of its time and fit into a weird market somewhere between portables and consoles. What I failed to account for with the Switch was that it married portability to the living room experiences, instead of trying to make some weird clone that fell into the uncanny valley of not quite matching up to the console versions, no matter how good they were (Uncharted: Golden Abyss and Assassin’s Creed III: Liberation anyone?). At the time we weren’t taking console Uncharted on the go. We weren’t playing Assassin’s Creed III on the plane, train, or in an automobile. We were playing another game entirely. And that’s where the biggest problem came in. I didn’t have the ability to play a bit of my console experience, pick it up, keep playing it on a trip, and then continue playing it when I got home. The Vita was console-level quality in a portable form, but it wasn’t the actual console experiences themselves (save for the games that had cross-save functionality). For all intents and purposes, my living room and my portable gaming experiences were still separate. The Switch changes all of that. The very same games that you play on your TV are the ones that you play when you pick it up to go on a trip. Skyrim on Switch is such a big deal not only because of the ability to take it with you wherever you go, but to be able to have the exact same experience whether it’s in handheld mode or being played on a TV. Saves carry over. The game stays with the system. There is no break between the portable experience and the living room experience. Who wouldn’t love that for a PS4 game, the ability to be playing some Bloodborne, The Last of Us Part II, NieR Automata, or whatever else you play, and pick up right where you left off when you switch from the living room to being portable? The Vita had the right idea, but failed to fully bridge the living room and on-the-go gaming. 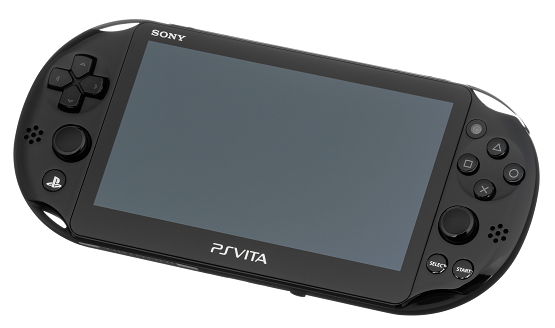 Instead, PlayStation users have to deal with the limitations of the Vita and the fact that it’s a separate handheld. Sure, we’ve got remote play to play whatever games we have at home, but it can be quite unstable, and requires an internet connection to even work. That’s not going to be feasible on a road trip or plane ride. After that, we’re left with whatever games have already come out for the Vita, as support for the handheld is rapidly dwindling. Gamers have been trying to figure out solutions to console portability for a long time. There are cases made for the PS4 with screens built in, but it still requires power and is much more bulky than the term “portability” might allow. Then we have the Switch. Nintendo managed to do what companies have been trying to do for years and made the living room and portable experiences indistinguishable from one another. More importantly, it worked. The Switch is the fastest selling console in US history. Two of its games were the best reviewed releases in 2017. Third-party developers are now eagerly supporting the platform after a very cautious opening. The idea of having to play one game in the living while playing a different one on the go is now a thing of the past. With the Switch, you can play a few levels of DOOM, head out, and pick up right where you left off while on a lunch break at work or a on a long plane ride to some gaming trip. For me personally, that idea is huge. I love going to different gaming events throughout the year, but I hate having to leave my PS4 behind. I try remote play, but its clunky at the best of times, and relies on my wife not being at home using the PS4 at the same moment I want to play. There’s an irony in going to events to play games actually keeping me from playing the games that I am currently playing. With all of that in mind, why wouldn’t both Sony and Microsoft be looking at the idea? Sony has clearly already explored some interest in it with the Vita. They were almost there, but didn’t quite get it right. Will all of our future consoles function something like the Switch? Will the PlayStation 5 have a screen built in that allows us to easily take our living room gaming experience away from the house? Will it be the same idea as the Switch, or will Sony iterate on the idea to come up with their own unique twist on console portability? I think that’s a question based on a number of factors. First and foremost, what aspects of the Switch’s design are patented and would not allow Sony or Microsoft to copy them? Second, is there going to be a significant sacrifice in power to achieve portability, and more importantly, would that sacrifice in power really matter? Obviously the Switch is doing very well as the least powerful console currently on the market, whereas the impressive quality Xbox One X has been struggling to find experiences that showcase the prowess and make it a must-buy. Would people favor the idea of portability over power? Power versus portability: Where would gamers flock? The next generation of gaming needs to look at more than just increasing the power for better resolution, graphics quality, and frame rates. I’m not saying those factors aren’t important, but to truly take us into the next generation, these companies need to be taking a look at how we game, and how the act of gaming ties in to our daily lives. The current generation of consoles has been built with so many conveniences that didn’t even exist ten years ago, baked right into the platforms. Many of these ideas are ones that we take for granted now, but would have seemed silly to us last console generation. Is the next convenience to bridge the divide between what we do while we’re at home and what we do while we’re away? Nintendo seems to think so, and they’ve already begun to tie the two together. Now it’s up to Sony and Microsoft to determine whether portability is a necessity or a fad, and take the appropriate steps when developing their next consoles to change the way we think about gaming. With gaming a huge and integral part of my lifestyle, I would love to be able to bridge the gap from my living room and take those very experiences with me wherever I go, because, let’s face it, I’m a PlayStation gamer for life and I’m never going to end up buying a Switch. With that said, I’d love to see the PlayStation 5 be Sony’s next-generation take on the Switch, and iterate on the idea of living room console portability.